Search engine optimization (SEO) can be overwhelming for beginners, but it doesn’t have to be. When you’re just getting started with SEO, it’s tempting to look at lists detailing Google’s 200+ ranking factors, conduct research to learn more about each factor and create a never-ending list of things you need to do to optimize your site and content. But the truth is that no one really knows what factors Google uses to rank search results, and the true list of what Google looks at when ranking sites may be more like 10,000 factors long. A better approach to both learning about SEO and optimizing your site for search is to start small: choose one thing to focus on, learn what you need to know to implement it, make the changes, and measure your results. Following this method, you’ll not only learn more about the practice of SEO, but you’ll also get to see the results of your changes—which tactics worked and which didn’t—for yourself. 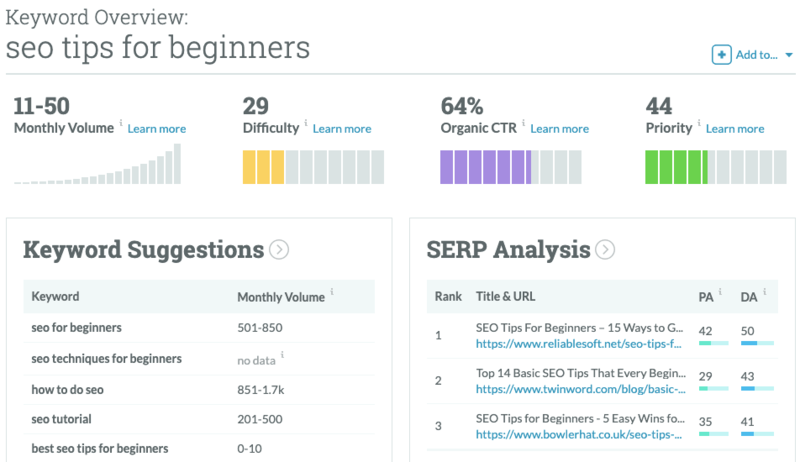 So what one task should you start with as an SEO beginner? To find out, we asked our community of marketers to share their advice. 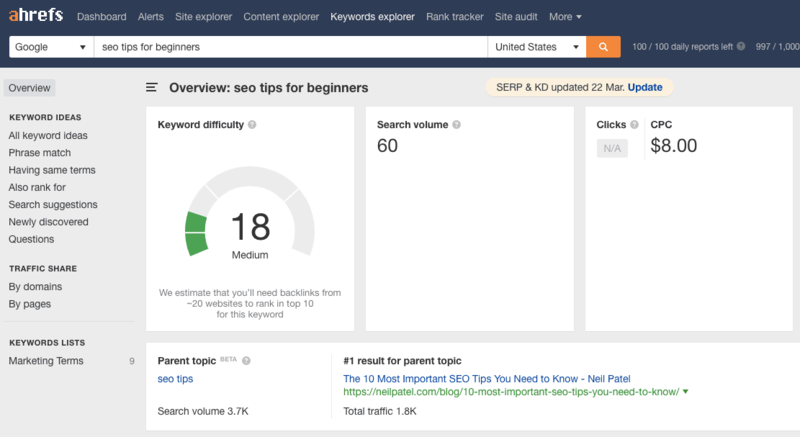 More than 100 SEO experts replied, sharing their best SEO tips for beginners. 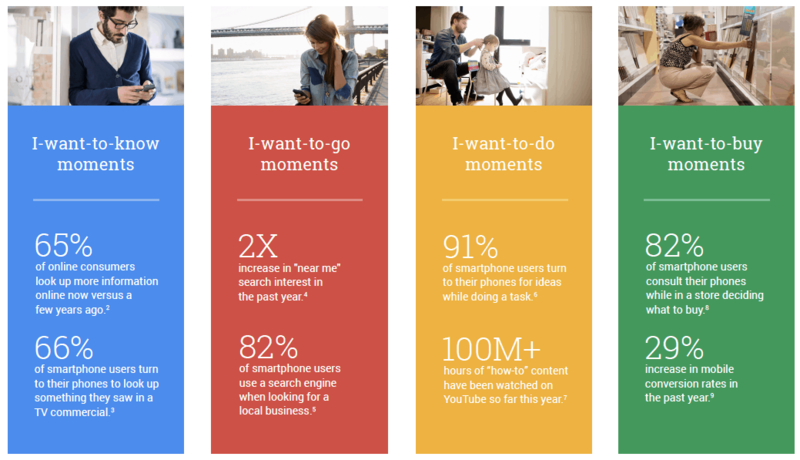 *Editor’s note: Want a quick and easy way to track and visualize the engagement you’re getting from search? 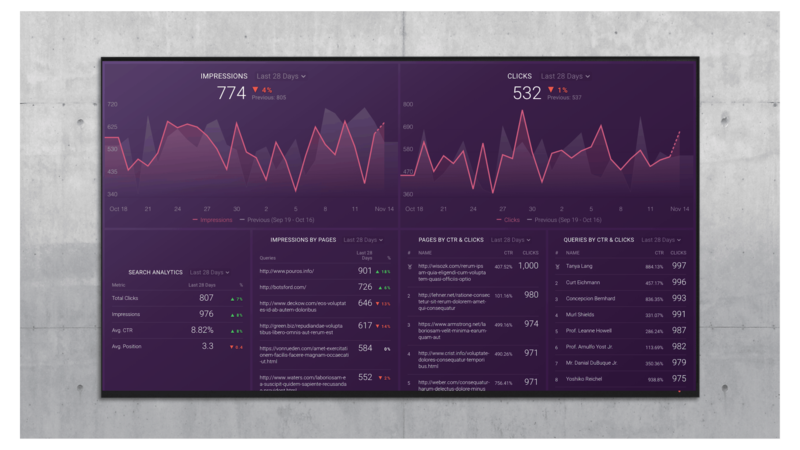 Download this free Google Search Console dashboard to quickly track and visualize yours. Not using Google Search Console? No worries. You can also download free SEO dashboards that provide actionable insights for your blog from AccuRanker, Ahrefs, Moz, and SEMrush. 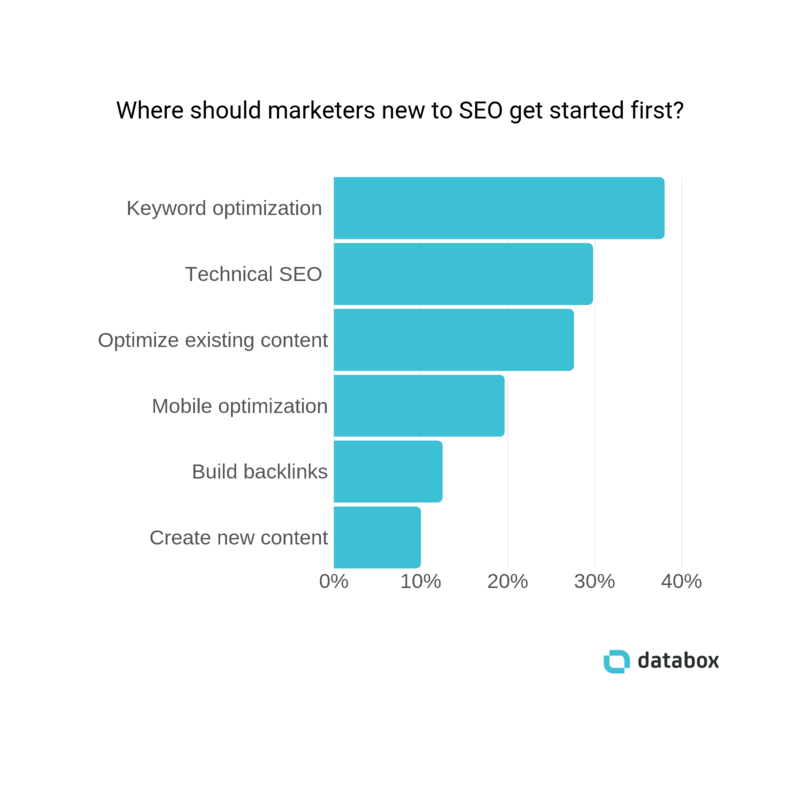 As an SEO Beginner, Where Should You Start? 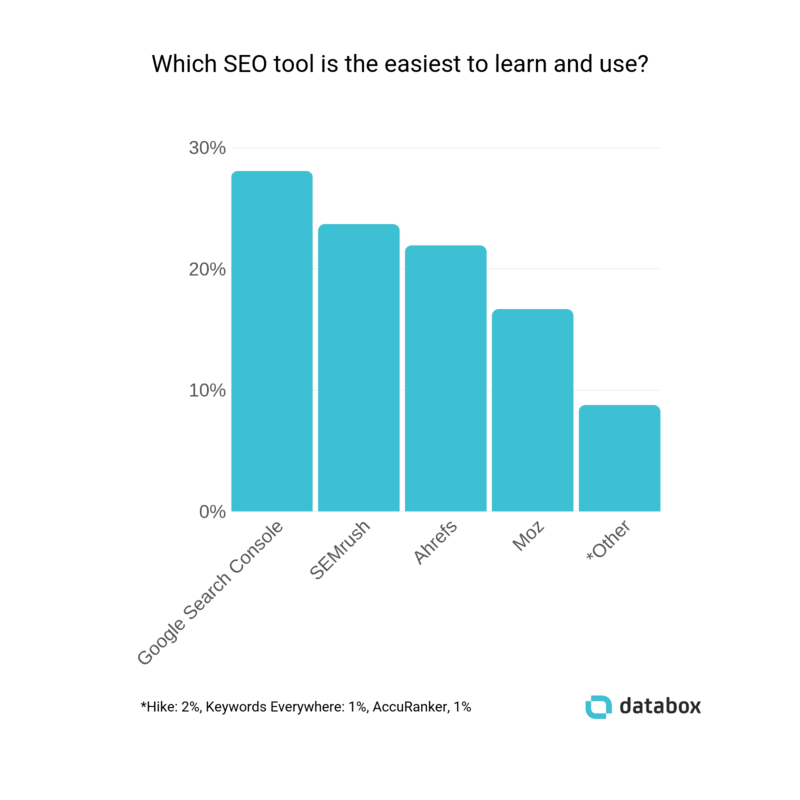 With 103 responses to our survey, it wasn’t really surprising that not everyone agreed on the best place for new SEOs to focus their efforts. “You don’t necessarily need any SEO knowledge to do this. All you have to do is pay attention to how the top pages are formatted, how they flow, and what subtopics they address. By thoroughly studying the posts that rank well, you’ll be able to craft your own content in a manner that you know Google likes,” Ross says. And others, like Josh Paul of Small Marketing Teams, recommend that you “avoid getting caught up in advanced technical SEO. Learn what your target audience cares about and their biggest challenges to create the most thorough and helpful content in your space. Still, things like technical SEO, optimizing existing content, and mobile optimization weren’t far behind. Techtic Solutions’ Rajat Chauhan agrees, recommending that you “create smaller goals to achieve bigger success. 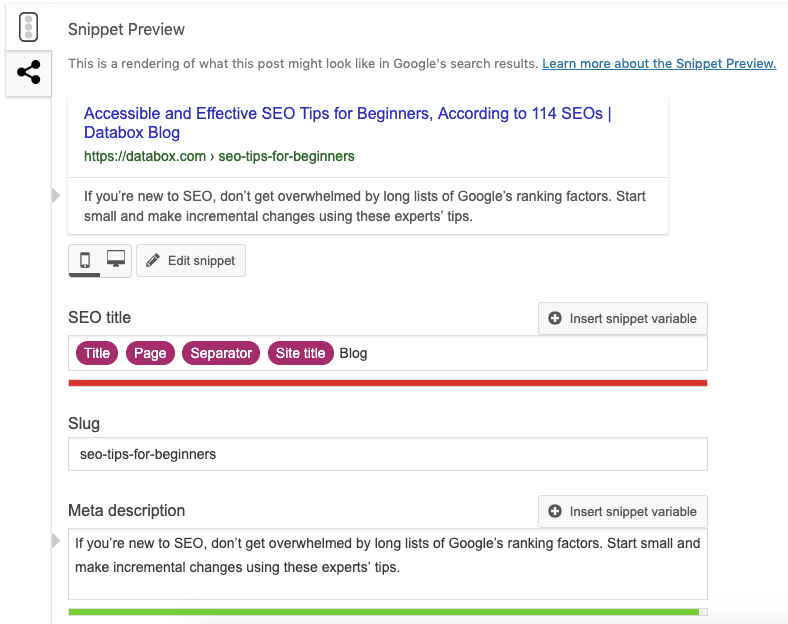 Below are all of the tips and tactics our respondents recommended for beginner SEOs. Choose whichever one seems the most accessible, promising, and/or easy to implement. Then, focus on that tactic, make the changes, and measure your results. “Each of these metrics tells you different things about your SEO performance and helps you build a bigger picture of the success of your strategy,” Craig says. To measure these metrics, set up tracking for your website in Google Search Console and Google Analytics. “The very first thing you should do is set up tracking in Google Analytics and Google Search Console,” says SFA Marketing’s Tim Troiano. “Without these tools, it would be almost impossible to determine how the changes you make to your site are affecting overall traffic and SEO,” Troiano says. Google Search Console shows you what queries your site ranks for, what position you rank in for each query, how often people click on your result after searching for a specific term. “It also alerts you to issues with your website and tells you how those will impact your search visibility. This is information you won’t get anywhere else, so it’s critical to set it up early,” Allen says. 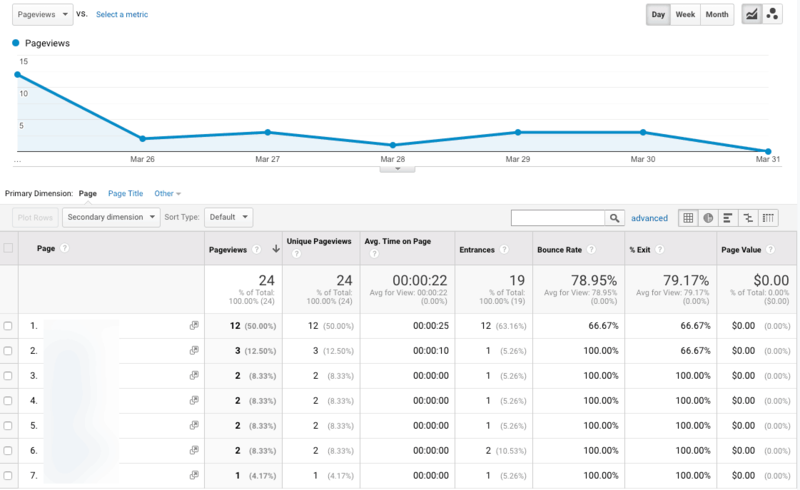 “It also lets you monitor your sitemap, disavow if needed, and check for mobile friendliness. As you get to know this tool, you’ll get deeper insights into your SEO campaigns than ever before,” Barney says. “To this end, keep a log of every change you make on the site, and tie this to your analytics so you can attribute changes,” Javer says. 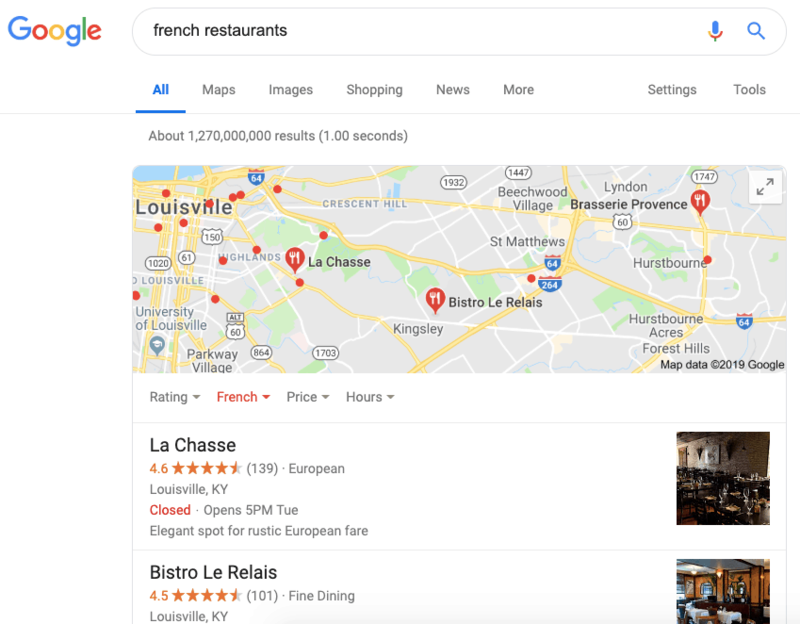 If you’re optimizing for a local business with a brick-and-mortar location, Guava Family’s Scott Crumrine recommends creating a Google My Business profile in addition to setting up Google Search Console and Google Analytics. “Once your business is on the local map, you can start tracking the different types of searches that cause your business to appear. Later, you can target those specific searches based on the volume and keywords used,” Crumrine says. “I’d recommend starting with choosing the right keywords for your website,” says Marketing Media Cloud’s Joan Santua-Malata. “You can find relevant keywords by brainstorming, using keyword research tools, and searching for keywords online,” says ExpertSure’s Ollie Smith. Our respondents offered lots of additional tips on the tools and tactics that enable great keyword research. If you can’t afford to invest in a keyword research tool, use Google Keyword Planner. You can use Google Keyword Planner for free to discover keywords and get search volumes for those keywords as ranges, though you’ll get more specific data in Google Keyword Planner if you run Google Ads regularly. Keep in mind, though, that the competition values in Google Keyword Planner are for paid ads—not organic traffic. If you’re interested in finding out the competitiveness of a keyword in organic search, our respondents recommend a few other tools. “You can use a free tool like Google Keyword Planner, but a premium one like Ahrefs or Moz will save a lot of time and effort,” says Sadi Khan of Run Repeat. “Enter a main keyword, and these tools will produce hundreds of related keywords and phrases that people search for. Plus, these tools provide monthly search volumes and organic competition metrics,” Khan says. 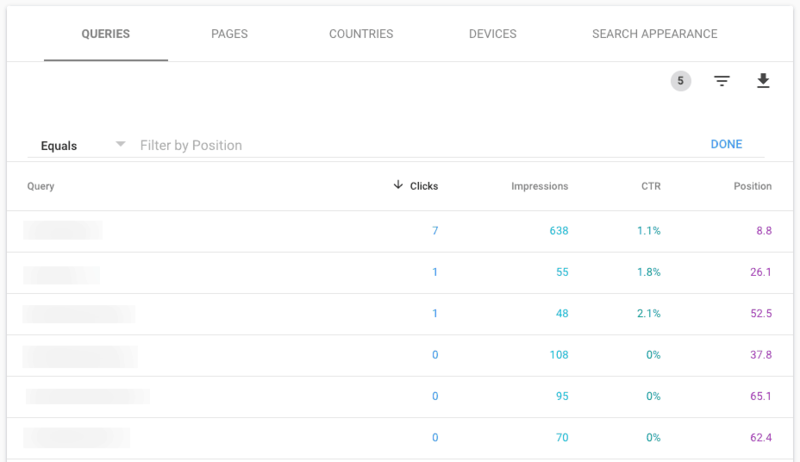 You can conduct 10 keyword searches per month in Moz’s Keyword Explorer for free if you sign up for a free Moz Account. “Start by targeting these terms to establish search engine visibility. From there—once you’ve earned some organic traffic, inbound links, and site authority—you can start to target higher trafficked and more competitive terms,” Kemper says. Another great way to find keywords you should target is to see what keywords your competitors are targeting. 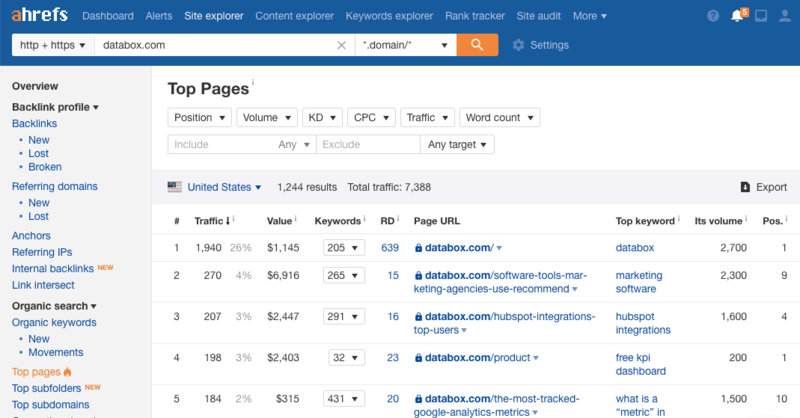 There are several tools that help you find competitors’ keywords. “SpyFu is a great tool that will allow you to see what your competitors’ keywords are and how they’re performing,” says Blair McKee of Constellix. “You can use a tool like Ahrefs or SEMrush to pull a report that shows the top keywords that are generating traffic for your competitors, as well as the estimated monthly search volume for those keywords,” says Marc Andre of Vital Dollar. “One of the keys to this approach is to research competitors that you think you can outrank. Focus on newer sites or those that don’t have a high domain authority. If they’re ranking for a keyword, chances are you can do the same, and maybe even outrank them,” Andre says. 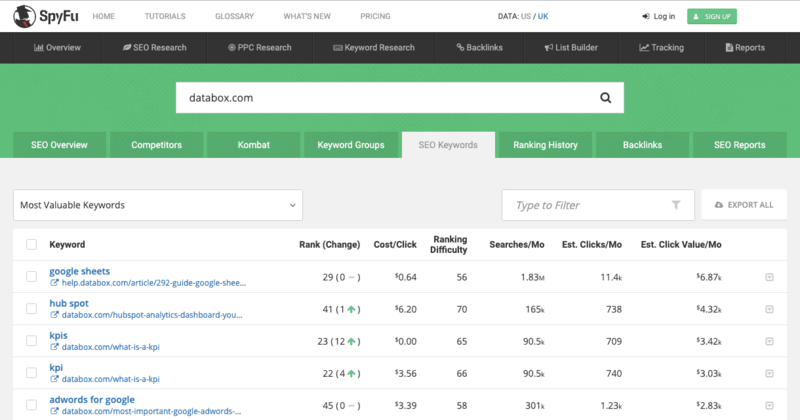 “When you first get started with SEO, you’ll likely spend hours and hours searching for the right focus keyword with impressive volume, a high click-through rate, and low difficulty,” says Survicate’s Anna Rubkiewicz. “Personally, I use a tool called LSIGraph to find keywords that are related to my target keyword,” Rubkiewicz says. But you can also find LSI keywords right in Google’s search results. “People also ask” boxes show you what other questions people want answered when typing in a specific query. And LSI terms can also be found at the bottom of a search results page in the related searches section. Once you’ve compiled a list of keywords, there’s one final step you need to take to make sure the keywords you’ve selected are relevant to your site, goals, products, and/or services: conduct a search for each keyword, and view the results. This is important because sometimes it will seem like a keyword is relevant, but once you search for it, you’ll discover that it isn’t relevant at all. 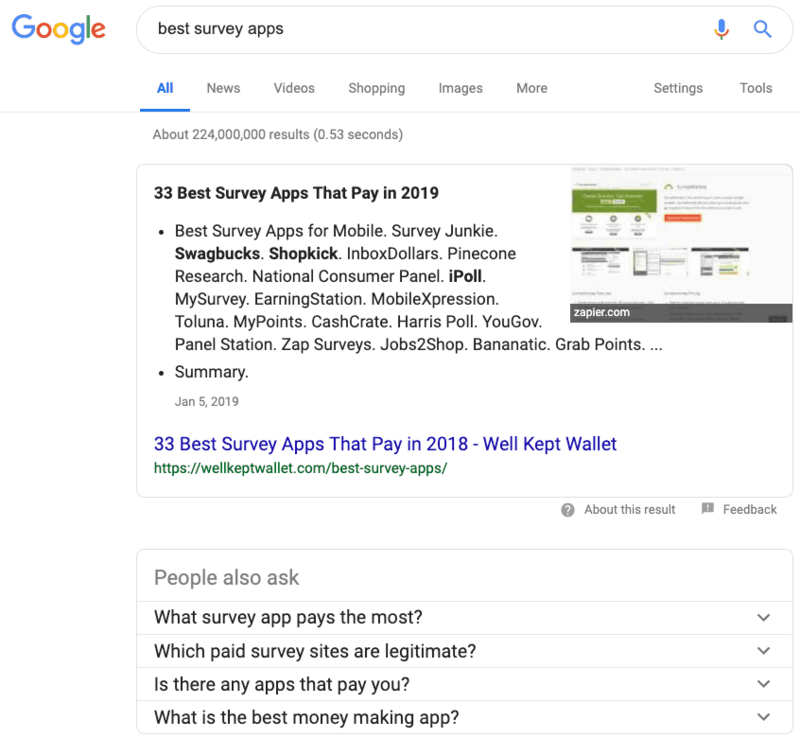 For example, I recently considered targeting the keyword “best survey apps” for a roundup of survey-builder tools like SurveyMonkey. But when I searched for that term, all of the top results were lists of services that let you earn money for completing surveys. This means that people searching for that term aren’t looking for tools that help you build surveys. The most common user intent for this keyword is finding platforms that pay you to take surveys. If you target a keyword with the wrong intent, it will never rank for that keyword. So make sure to search for each of your target keywords first to make sure that the results are relevant to the content you plan to optimize for that target keyword. “Some beginners get caught up in learning fancy backlink-building techniques, but backlinks don’t help as much as they should when on-page SEO isn’t done properly,” Pollard says. So what are the best practices of on-page SEO? Our respondents shared their thoughts. “For your meta description, make sure it gives users an accurate description of what’s on your page,” Ben Johnston says. Of course, Google may not use the meta description you write. Often—but not always—it creates a meta description programmatically based on what a user searched for. Long URLs get truncated when displayed in Google’s search results. Short URLs display in full. “Short URLs perform better in the search results, and Google is on record as saying they prefer short URLs,” Powell says. Keep in mind, though, that if you’re going to update the URLs for pages that are already published, you’ll need to create a 301 redirect from the old URL to the new one. As a beginner, it may be better to just leave your existing URLs as-is and focus on writing shorter URLs for new content. If you use WordPress as your CMS, the Yoast SEO plugin makes it really easy to update the title tags, meta descriptions, and URLs for every one of your pages. But all content management systems offer this capability. Here are the instructions for Wix, Squarespace, Drupal, and HubSpot. While it’s important to use your target keywords in your content, it’s also very important not to go overboard with it. While keyword stuffing used to be an effective practice, that’s no longer the case. LyntonWeb’s Jennifer Lux and Doorbell Digital Marketing’s Ken Marshall both agree: “Providing an excellent user experience, both in design and content, will ultimately help you rank higher,” Lux says. “Test and use multiple content templates and formats that break up text, include helpful graphics, have logical sections, and follow other UX best practices,” says Marshall. “Don’t be tempted to break from this format for aesthetic reasons. Adjust your CSS, instead,” Fisher says. “The more organized your content is, the easier it will be for Google to index it and understand what it’s about,” says Warren Diggles of Diggles Creative. “Organize your web pages using categories, sub-categories, and articles that focus on one topic at a time. Make sure your articles are organized and easy to read. Include headings, sub-headings, short paragraphs, and bulleted lists,” Diggles says. “Create an internal linking structure that drives visitors to your most high-value pages—those you most want to rank for,” says Ironpaper’s Brian Casey. “Pages that exist in isolation on your website don’t have any inherent link authority. By linking pages of your website to other pages of your website, you can drive traffic and authority to high-value pages that can help you rank for target terms,” Casey says. SkillsLab’s Gareth O’Sullivan recommends optimizing existing content for keywords you’re already ranking for. “Now, optimize your existing article with the appropriate keywords without stuffing them, and republish your article with an updated date. Since Google already favors this content, this can help you earn higher rankings,” O’Sullivan says. 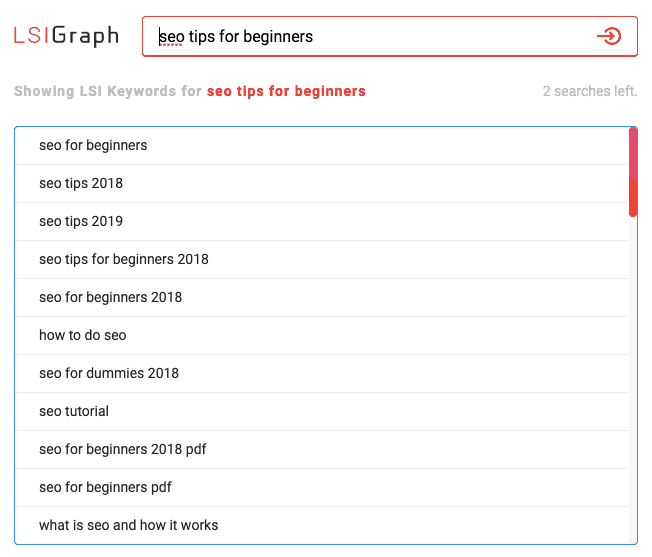 “If you’re new to SEO, aren’t sure where to start, and are feeling overwhelmed, don’t worry about SEO,” says How To Make My Blog’s Marko Saric. “Then, create the best possible content that you can with that audience and those questions in mind. Don’t create content for SEO. Create content that educates, informs, entertains, and truly solves problems your audience has,” Saric says. So how do you create engaging and useful content? Our respondents offered these tips. “Great content is content that’s highly targeted to your audience,” says Gray Group International’s Alejandra Melara. “Focus on search intent, not on specific keywords,” says Knowmad Digital Marketing’s Chris Steele. But what, exactly, does that mean? Understanding the intent behind the search can help you create content that fulfills that intent. “Learn to recognize the difference between top-of-the-funnel (know-intent) keywords and bottom-of-the-funnel (purchase-intent) keywords,” says Jeff Lenney of JeffLenney.com. “For example, people searching for ‘weight loss’ are much less likely to buy something than people searching for phrases like ‘best weight loss program for 2019’ or ‘how to lose 7 pounds in 7 days.’ It’s important to put yourself in your target audience’s mindset,” Lenney says. “You can carefully craft your headers, URLs, and title tags, but if you’re not satisfying user intent by creating valuable content that answers searchers’ questions, you won’t rank,” says G2 Crowd’s Jordan Wahl. It’s important to cover individual topics comprehensively in individual pieces of content, but many of our respondents also recommend writing multiple pieces of content that are all related to a broader topic, and then linking those pieces of content to each other. “Focus less on keywords and more on topics and internal linking,” says Andrea Moxham of Horseshoe + co.
“Plug a competitor’s URL into a tool like Ahrefs’ (via the ‘Top Pages’ report), and you can see that competitor’s best-performing pages,” says David Oragui of Grow Hack Scale. “This will help you come up with content ideas that have the potential of driving valuable traffic to your website,” Oragui says. Kent Raju, author of The Trick of Advertising, recommends including videos in your content. Related: Blogging vs. Video: When Does Each Format Work Best? “Just by doing this to a handful of blogs on our own site, we were able to increase overall traffic by more than 30%. Some blog posts saw over 100% increases in organic traffic,” Moreno says. “Most experts optimize a piece of content once and then work on acquiring tons of backlinks, but you can always go back and reoptimize what you’ve done,” Kang says. “That means making sure your own website is optimized extremely well on-page and that you have really valuable and helpful content. With your own house in order, others may want to visit and perhaps link to you, too,” Sheffy says. But if you’ve already followed all of the tips above, starting with link acquisition could really move the needle for your site’s SEO. “However, make sure you screen the sites you’re contacting before asking for a link. Some might have a poor authority rating, and if they insert a link to your site, it would result in your authority rating going down too,” Worrall says. “These are worth a lot more value and will boost your site in the right direction at a much faster rate. It’s a lot harder to get these links, but they are definitely worth it,” Agrawal says. “I would strongly advise anyone in marketing who’s just starting out with SEO to optimize the speed of their site,” says Riley Adams of Young and the Invested. “Remove anything which isn’t absolutely critical that slows down your site. Doing so will make your site more attractive in the eyes of search engines, and they’ll be more likely to rank your content higher,” Adams says. “Improving your page speed often results in significant and immediate SEO ranking improvements for all pages of your website,” says Emily Chen of The Great Guac Off™. “Low-hanging fruit for site speed includes using a free CDN like Cloudflare and decreasing your image sizes. 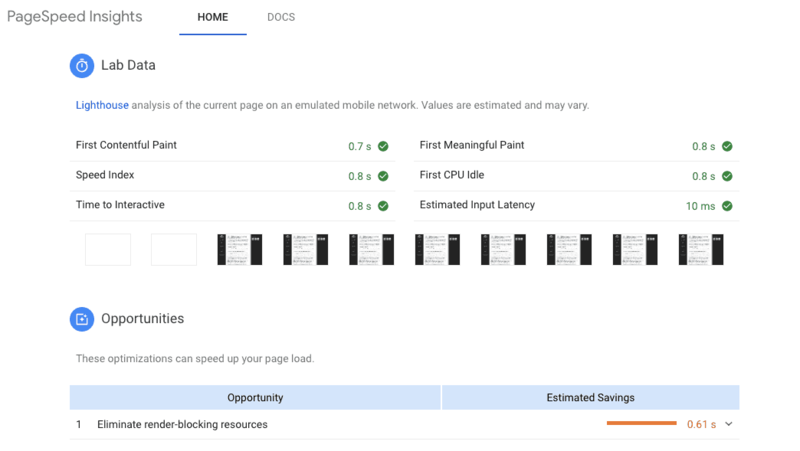 You can track your improvements and progress in tools like Pingdom and Google’s PageSpeed Insights,” Chen says. “There are tools out there like SE Ranking that can provide a basic audit, or you can contact Seventh Scout for a professional review of your website,” Vielmann says. “For less than an hour of your time, you can avoid many of the problems encountered by new entrants to the SEO market,” Duncan says. 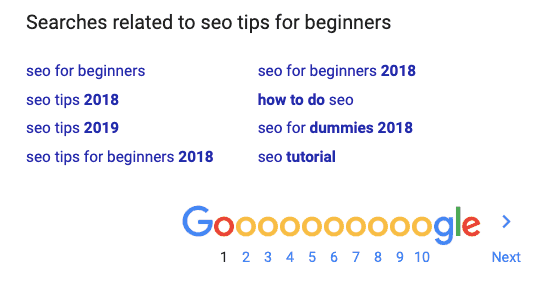 So far, we’ve covered a lot of specific tactics you might consider implementing as an SEO beginner, but there’s more to the practice than just tactics. Our respondents also offered several tips for how beginners should approach SEO to develop a mindset that ensures their success. “SEO isn’t a magic bullet that gets you results overnight,” says RapidVisa’s Ulysis Cababan. Many other respondents echoed Cababan’s sentiment. “If you keep doing the right things consistently and avoiding shortcuts, within a year or two, you’ll start seeing results,” says GreyCampus’ Rajesh Kumar Raj. “Invest in your SEO education before building your site or business plan,” says Brent of Debt & Cupcakes. “It may feel like you’re starting slow, but you’ll actually be light years ahead of your competition because it takes exponentially more work to correct past mistakes than to learn how to do it right from the beginning. “SEO is constantly shifting and advancing. For instance, new SEO techniques and strategies will continue to arise each time search algorithm updates take place. The only way to keep up with trending topics and strategies is to dedicate some time each week for SEO research,” Pehrson says. 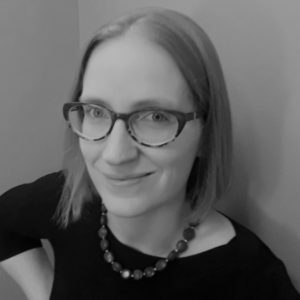 “When I first started doing SEO, I was told to read the Search Engine Journal to stay up-to-date on the industry.” (Alice Stevens, BestCompany). “Reading industry blogs and watching videos helped my growth tremendously, but testing what you learn is what will give you the best learning experience,” says Steven Boffa of Powered By Search. “If you feel like every change you make is high-stakes, you’ll be afraid to make any changes, so you’ll never learn what you need to in order to become a professional in the SEO field,” Milan says. “It’s by doing that you learn, not by watching weeks and weeks of YouTube videos,” says Kevin Peguero of Astro Pak. “All of these tools have free video tutorials. Start there. And once you’ve watched the videos, implement and execute what you’ve learned. The more you apply and test, the faster you’ll learn,” Aufray says. At a glance, SEO can seem like an incredibly complex and broad field. But some of our respondents noted that it doesn’t have to be as complicated as it seems.